I can’t help but laugh at the title. 😁😆😂😊 My sweet boy turned two and a half last night. How is that possible?! I remember pregnancy, though it seems like a lifetime ago. I was blessed with the opportunity to become a mommy. As someone who once said she didn’t think she’d want a child – I don’t know what I was ever thinking. I recall laying in bed next to Joe one night and feeling something like a fish swim up my belly real quick. 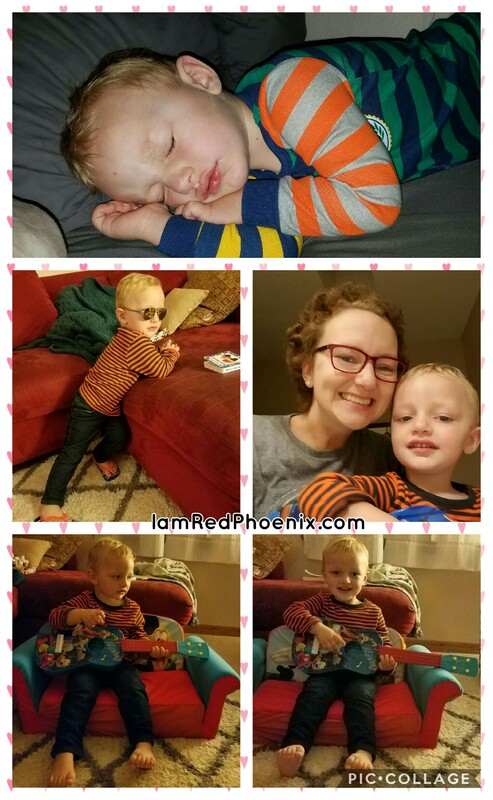 It was gone in an instant and took me a moment to realize that it was my sweet boy stretching out in my belly. I remember laying on my couch one day while Joe was at work with my hand on my belly and feeling him push against the bottom of my round belly for the first time. Thinking about that moment still brings tears. When driving or showering or picking out clothes, I used to talk to this sweet boy in my belly. Reading him books at night, mine or his, made me incredibly happy. The first time he went to Life.Church in Albany, my belly danced along with the music. Every song, every beat, every lyric…this little light of mine was as happy as he could possibly be. He danced throughout my belly and didn’t stop for the entire service. I’d never experienced anything like it…it was like he was singing and praising along with me. I don’t think I stopped smiling that whole day. I had crazy back pain suddenly on the 4th of July…come to find out, it was the beginning of his entrance into this world. I woke up just an hour or two after falling asleep and was convinced I had a sudden and severe kidney infection. I was googling it while running to & from the bathroom. I woke Joe up, convinced that I needed to go to urgent care. He hesitated before asking me if I was sure that I wasn’t having contractions. Well, shoot. I sure was…and they were already 5 minutes apart. After a long birth and the doctor saying I may need to have a c-section, my little boy arrived in this world. I held him, instantly crying with Joe in tears by my side. Jacob, the name we decided on that morning because they needed to put something on the dry erase board, was bawling his beautiful first newborn cry. Through tears, as I held him in my arms for the first time, I told him how much I love him and wished him a very happy birthday…over and over again. The last 2 1/2 years have not been easy. Those first few weeks of adjusting were hard, breastfeeding was a struggle initially and I thought all I did was mess up. As he grew and reached new milestones, I continued to be in awe of him. Everything about him shows how amazing he is. Even in my darkest moments, both before and after cancer, this boy has always found a way to brighten my day and remind me that this life is so incredibly special. Yesterday, we surprised him with a Mickey Mouse guitar because we saw it on clearance while picking up a prescription and knew he would love it. His smile was instant and he hasn’t put it down. Add in new sunglasses and flip flops for vacation and Mr Cool Kid was all set. Falling asleep with both of them is a testament to how much he loves them both. As I lay here in bed, beyond exhausted from this challenging week and in a bit of pain, I am humbled. I am reminded that this little man, this sweet boy, this rockstar, this miracle…is mine. God knew the battle that Joe & I would face and he blessed us with this amazing gift to see us through it – every moment. Jacob has his own thought process, has an infectious giggle and a kind heart. His smile goes on for days, he loves to play with his parents and he has a fierce love for his relatives. He is my reason for never giving up. He is the reason I will fight with all that I have in me. He is why I push myself to be a better person. This boy that I call my son…he has my heart. What a beautiful lad, and a beautiful Megan too!